William W. Mc Lellan, Jr. Celebrating the life of William W. Mc Lellan, Jr.
Obituary for William W. Mc Lellan, Jr.
Bill was born January 10, 1938, in Denver to William and Louise McLellan. He graduated from St. Francis de Sales High School before entering active duty in the U.S. Navy where he was an air traffic controlman at Naval Air Station Denver and then spent year at the Naval Air Station Olathe, Kansas. 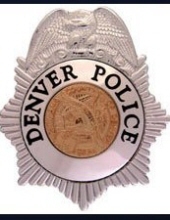 He joined the Denver Police Department in December 1965 and retired as a detective in February 1990. He is survived by Donna, his wife of 61 years. Also surviving are his sons, Robert McLellan of Tumwater WA, and Ronald McLellan of Aztec NM and a daughter, Linnet O’Hanlon of Eugene OR. His granddaughters are Allison O’Hanlon of Austin TX and Jordan O’Hanlon of Tacoma WA.. He is also survived by his sisters Karlyne (Tom) Tedesco, and Eileen (Ray ) Ward. His sister , Louise Pennington predeceased him. To send flowers or a remembrance gift to the family of William W. Mc Lellan, Jr., please visit our Tribute Store. "Email Address" would like to share the life celebration of William W. Mc Lellan, Jr.. Click on the "link" to go to share a favorite memory or leave a condolence message for the family.